My kitchen is the place where I create delicious desserts. At least, that's my favourite thing to use it for. I love baking. I love baking for myself. I love baking for my family and I think it's fun to include my girls in the fun sometimes. They seem to just naturally enjoy the baking process. They want to measure, they want to pour, and of course, they want to taste. Our first apartment had a very small galley kitchen. You could just barely squeeze by another person in it. But it was all we really needed. Our 2nd kitchen was bigger and we really enjoyed the extra space and the fact that it included a dining area and an island. Our current kitchen is in between our two past kitchens when it comes to size, with a separate dining area. We don't have as much cupboard or counter space as I would like- some of our dishes and small appliances have to be stored in the basement. I have nowhere to store a broom, my garbage can has to sit in front of a cupboard, because there is no free wall space (I have to move it out of the way with my foot, to get into that cupboard), my counters have chips out of them from previous renters (which I try to hide with strategically placed microwave, toaster oven, and cutting board). I dream of the day that I can have a large kitchen! I also have a few things I'd like to upgrade if I could. Have you given your dream kitchen much thought? What if you could HAVE your dream kitchen?! Finish®, in partnership with Bosch®, is looking to make this a reality for 10 lucky winners. 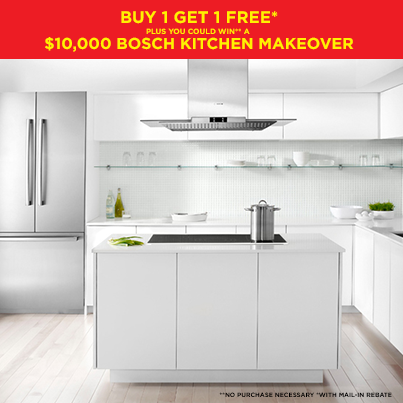 They will be giving away 10 Ultimate Kitchen makeovers valued at $10,000 as part of their Buy One Get One with mail-in- rebate in-store promotion. Purchase any 2 participating products in store, mail in the official refund form and receive a refund by mail. Also, when you mail in your rebate form, you can enter for a chance to win 1 of 10 kitchen makeovers! Head over to the Finish Facebook page to check it out! 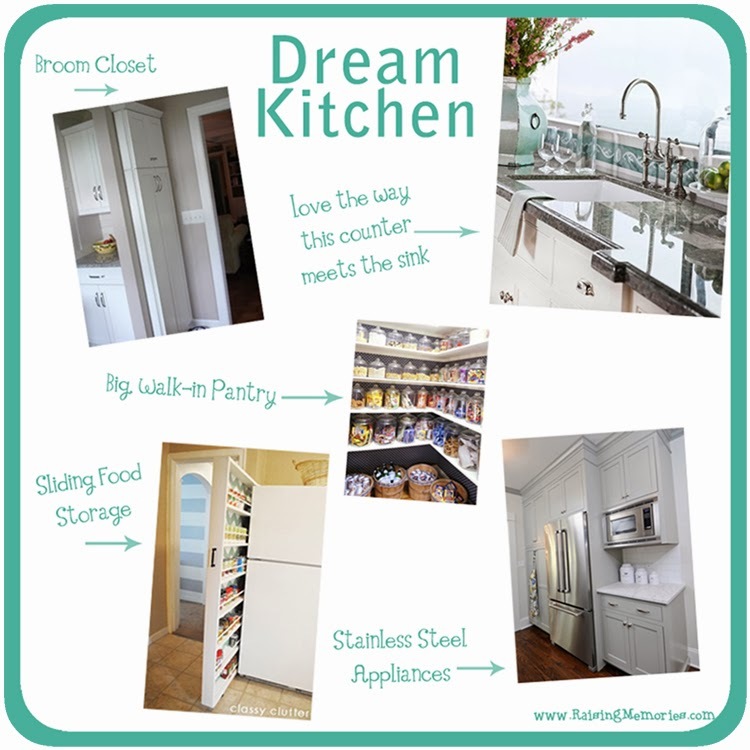 I wish you luck if you enter the contest- I would love it if one of you won one of the kitchen makeovers! !